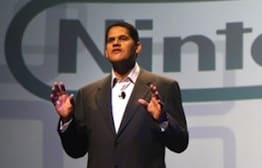 Having taken to the stage during Satoru Iwata’s keynote speech at GDC ’11, President for Nintendo of America, Reggie Fils-Aime, has revealed that the Nintendo 3DS is set to receive video streaming capabilities in the form of Netflix. For those that already use the service through their Wii system, the progress you have made through any video that you are currently watching is able to be transferred between the Nintendo 3DS and Wii, or you may even watch two different videos on each system at the same time. Nintendo also announced that they are to operate a short-form video service, that will include content such as music and comedy videos. They also further confirmed that 3D movie trailers will be available to be downloaded, with The Green Lantern being amongst the first.